Advice on choosing an acoustic guitar for a beginner. The first acoustic guitar you buy will probably not be the one that you use throughout your career, but it will have a place in your heart for the rest of your life. Years from now you will reminiscence about the first guitar you ever owned, and a time when music was fresh and new. Of course, how you remember your first guitar depends on which guitar you choose. Make the wrong decision and one day you might have fond memories of how often you thought your guitar would serve better as a doorstop or a piece of firewood. Make a smart choice and you’ll think back on how exciting it was to learn music, on an instrument that inspired you with its sound and playability. You want the latter, and this article can help. 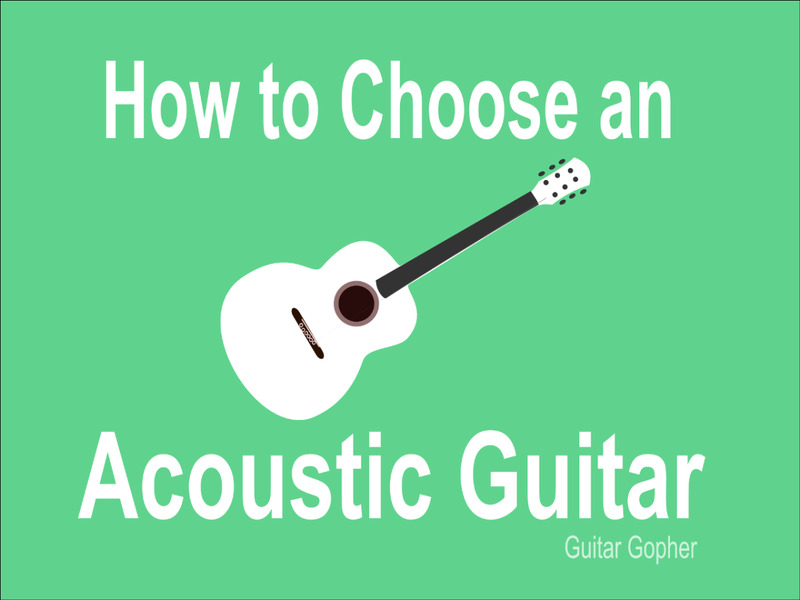 Here you’ll learn how to choose a great first acoustic guitar, and get advice on things such as guitar body size and woods, and even some recommendations on which brands to consider. It would be easy enough to point you to my article on the best acoustic guitars for beginners, but the intent here is to help you make your own decisions. Learning to evaluate what’s good and bad about a guitar is a skill that will serve you for the rest of your career, even when you are looking at expensive pro-level guitars someday. So, let’s get to it. The future you will thank you for reading this. Choosing a spending limit for your first guitar reminds me of that story where that blonde girl burglarizes the home of those poor bears. You don’t want to spend too much, or too little. Like her, you are looking for “just right”. For most people there are many reasons it is not wise to spend too much on your first guitar. Yes, there are those who think they know for sure they are going to stick with it, and they have pockets deep enough to afford whatever they want. If that’s you, there is nothing wrong with buying an expensive guitar as you first instrument. However, most people aren’t so sure they’ll stick with it, and even if they are they can’t justify spending a lot. The typical young person looking for their first guitar doesn’t have a lot of cash to throw around, and needs to get the best guitar they can for their money. Or, you may be reading this because you are thinking of buying a guitar for a child or teenager. Last year they were convinced they were going to be a professional soccer player. Now it’s the guitar. Next year they may be into the drama club, or basketball, or they may decide they want to be a writer. While you want to help your kid follow their dreams, you don’t want to spend a whole lot on a guitar that may have dirty laundry piled on top of it in six months. On the other hand, cheap guitars can set a new student up for failure from the beginning. You can go as low as under $100 on a first guitar, but you have to ask yourself what you are getting for that price. Very inexpensive guitars tend to be made from inferior materials, and that means they aren’t going to sound very good. A guitar that sounds good inspires a student to pickup it up and practice. Worse, cheap guitars can be hard to play. The strings can be too far away from the fingerboard, making chords and notes tough to fret, and because the quality is so poor sometimes no adjustments will help. For a new player who is having trouble playing the thing to begin with, this may be all it takes to drive them to quit. So, how much should you spend on your first guitar? What is “just right”? 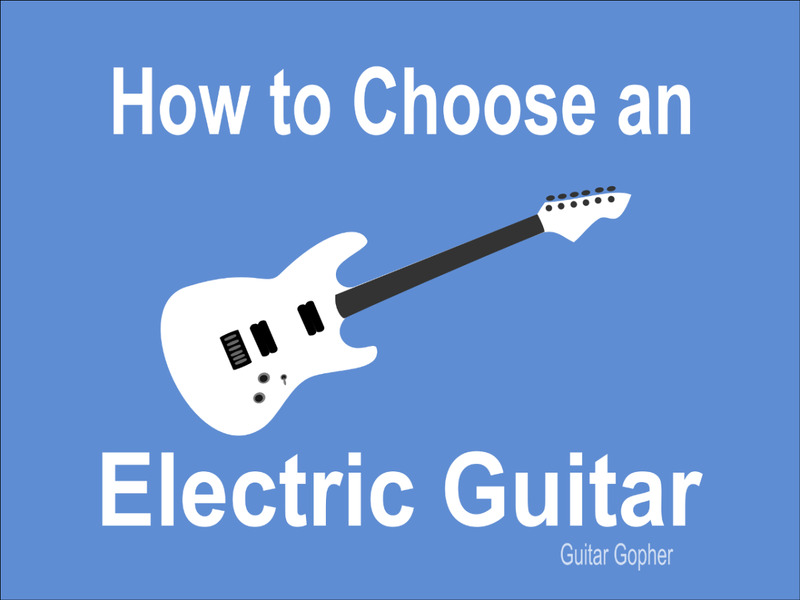 If you choose wisely, you can get a solid starter guitar for around $200. However, if you can manage it, I think the best value for beginners can be found in acoustic guitars around $300. 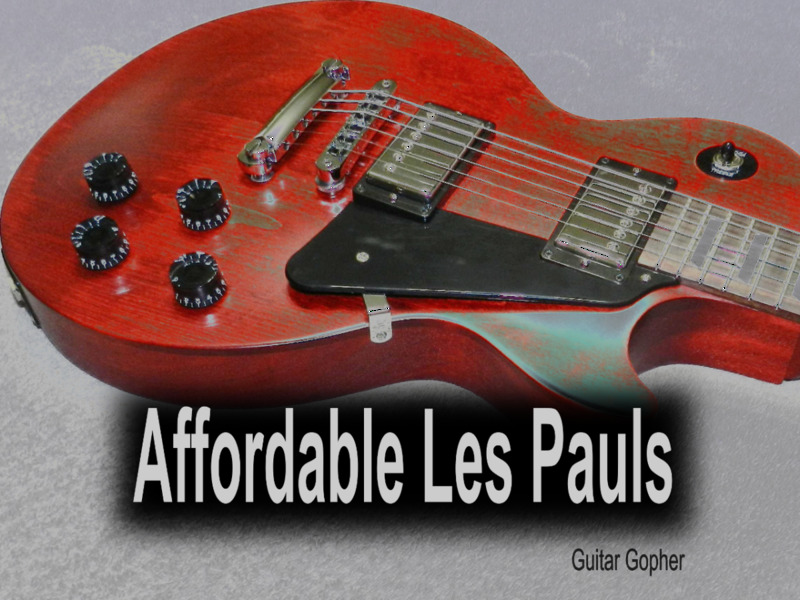 At this price point you can get a guitar that sounds good, plays good, and will last you a very long time. 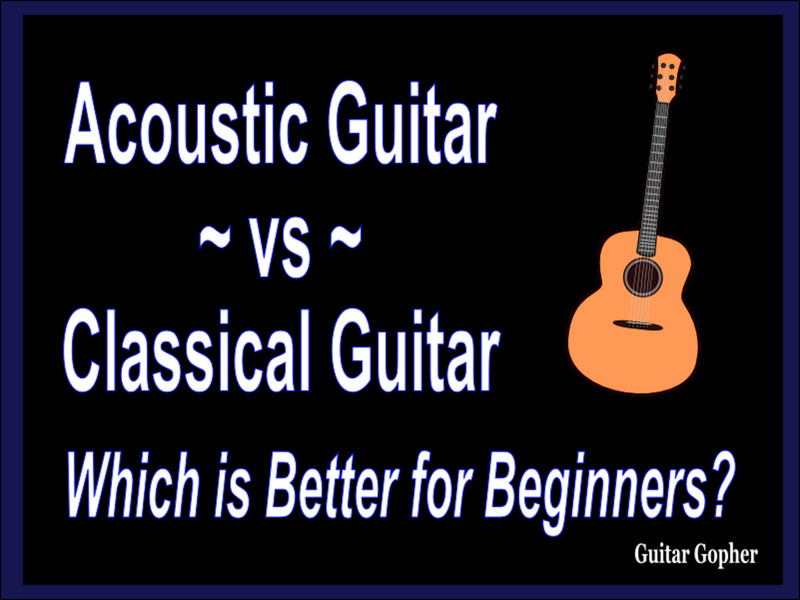 Acoustic Guitar or Classical Guitar? Most new guitar players choose acoustic guitars with steel strings. These are the types of instruments you’ll see used by country and rock players. When you think of an acoustic guitar, this is probably the kind of guitar you are imagining. So, for clarity’s sake, I will refer to them as acoustic guitars. But there is another kind of acoustic guitar, a type that has nylon strings instead of steel. They typically have smaller bodies, and lighter internal bracing. This means they aren’t as loud, and produce a more mellow sound. This type of guitar is used predominantly in classical music, so for clarity I’ll call them classical guitars. Acoustic guitars and meant to be strummed with a pick, and classical guitars and intended to be played with the fingers. However, many guitar players (me included) play steel-stringed acoustic guitars finger-style for a different sound, and it is a very accepted technique. While nobody is going to stop you from strumming a classical guitar with a pick, it is rare to see people playing them that way. So, if you intend to strum, a steel-string acoustic guitar is the way to go. Classical guitars are a little easier on the fingers. Some beginners, especially children, may find the nylon strings more comfortable to play. Most players will adjust to steel strings in a short time, so this alone isn’t a good reason to choose one guitar over the other. Classical guitars have a much gentler sound. While some flamenco players use them aggressively, they do not have the projection of an acoustic guitar. They are really intended for classical music, while acoustic guitars are oriented more to other styles. There are exceptions. Some jazz and folk players prefer nylon-stringed guitars, and many rock players experiment with classical music. These are decisions you can make for yourself further down the road. For now, the takeaway is this: If you intend to play rock or country or other traditional styles where you are both strumming and playing finger-style, you’re likely better off with an acoustic guitar. For most new players this is the best option. However, if you intend to play only classical music, you should opt for a classical guitar. Remember, though, that there is no wrong answer. If you like the look and sound of a classical guitar, yet you have no intention of ever playing classical music, that’s okay too. The important thing is to choose a guitar that inspires you. In my opinion, most beginners are smart to go with a basic dreadnought-body guitar as their first instrument. This body style is made for excellent projection and tone, and many guitar companies utilize it in both budget and expensive guitars. It is probably the most common acoustic guitar body style available, but there is a reason for that. Smaller bodied-guitars can sound really good, but tend to lack projection and bass. Large-bodied guitars have plenty of bass and projection, but can sometimes sound boomy and inarticulate. The dreadnought style is somewhere in the middle, giving us the best of both worlds. It gives a beginner the chance to explore what an acoustic guitar can sound like, and later on you may decide a different body style is more in line with the sound you are looking for. Still, it is worth it to do a little research on acoustic guitar body types and sizes, so you know what’s out there. Some guitar companies have shapes similar to the traditional dreadnought that you may find more pleasing. Some companies have sizes a bit larger and/or smaller that you may prefer. Or, you may already know you want a jumbo-body or parlor-size guitar. If that’s what you want, and that’s what inspires you, that’s what you should get. Remember, everything I say here is only a suggestion. Be aware there are also student-size guitars out there. For most new players a full-size guitar is fine, but for kids and small teenagers a 3/4 size instrument may make learning a little easier. If you’ve spent some time looking at guitars online you’ve probably noticed how manufacturers list the woods the guitar is made out of in the specs. In fact, some guitar manufacturers make a pretty big deal out of it. That’s because the sound of an acoustic guitar is very directly related to the quality of the wood used in its construction. The type of woods matters, too. Different wood species have different sonic qualities, and guitar companies combine them in ways that are intended to make the guitar sound good. Some guitar players prefer one type of wood over another, or certain types of woods for certain parts of the guitar. We call the woods used to build a guitar tonewoods. Top-of-the-line, pro-quality guitars are made with premium, solid tonewoods, which is one of the reasons they are so expensive. When you drop big money on an acoustic guitar you expect a high-quality instrument made from good stuff. However, budget guitars – like those aimed at beginners – typically cut a few corners to bring down the cost of the instrument. You'll see some solid woods, but the back and sides of the guitar are often laminates. You’ll also see alternative tonewoods with some weird names, and even synthetic or composite materials. Top: You want solid wood here. Usually you’ll see spruce, or sometimes cedar. Cedar is a little warmer, where spruce is a little brighter. 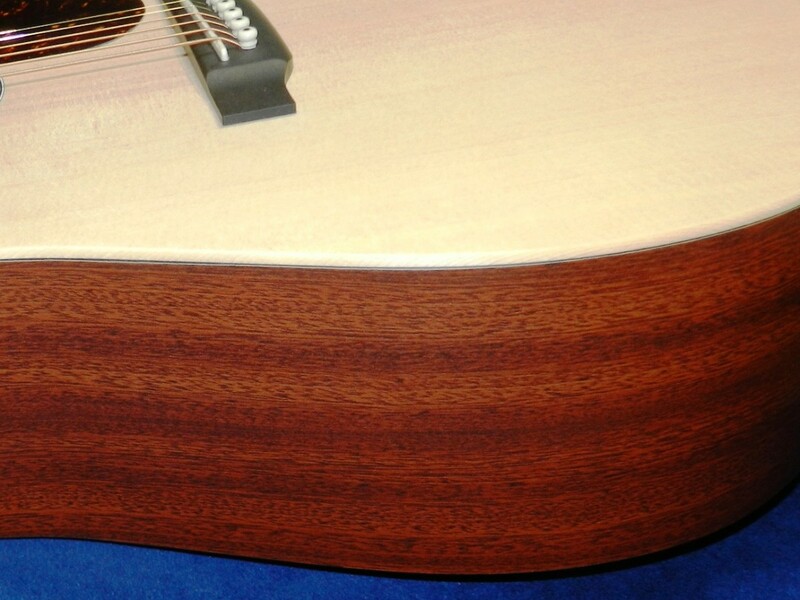 Back and Sides: Rosewood and mahogany are the most common tonewoods used. Rosewood has a slightly lighter, sweeter sound, where mahogany is a darker. Both are fairly resonant. Remember, you’ll be getting some type of laminate in this price range. Neck: Typically mahogany or similar. Fingerboard and Bridge: Usually rosewood. When it comes to back, sides, necks, fingerboards and bridges, remember that you may see some alternative woods in this price range, such as ovangkol and nato. These woods are used as stand-ins for tradition and more expensive woods, in this case rosewood and mahogany, respectively. The use of alternative woods means less stress on the environment, and because they are more common it helps keep the cost of the guitar down. To sum up: Choose a guitar with a solid-wood top, but otherwise expect to see laminates, some solid woods, and some strange names. All that considered, you can still get a great beginner guitar, even it incorporates some alternative build technique. Some guitars, like this Martin, utilize alternative tonewoods and composite materials that cut costs but still look and sound amazing. Should You Choose an Acoustic-Electric as Your First Guitar? I get this question a lot, but before I get to my answer let’s start with something simpler: What is an acoustic-electric guitar? This is an acoustic guitar with on-board electronics which allow you to plug into an acoustic guitar amplifier. Unplugged, they play and sound just like regular acoustic guitars. However, if need be, you can amplify your sound for live performances. Or, you can plug into a mixing board for recording. It’s an easy way to harness the sound of an acoustic guitar without having to use a microphone. There is one big reason I do not recommend acoustic-electric guitars for beginners: Those electronics – the pickup and preamp built into the guitar – factor into the price of the instrument. Since you are already on a budget, and already trying to find the best guitar you can for the price, why spend part of your money on electronics when you can get a better all-around guitar for the same money? However, once again I’m going to say to go with what inspires you. If you are really convinced you need an acoustic-electric guitar and it gets you excited, go for it. Be aware that acoustic-electric is not the same as semi-acoustic. A semi-acoustic guitar is an electric guitar with a hollow or semi-hollow body, which means it incorporates some acoustic guitar properties in the design. However, it is an electric guitar, not an acoustic guitar. You may think it’s impossible to judge a guitar when you are a newbie and don’t know much about the instrument. However, if you use a little common sense you certainly can make a good evaluation. I’d bet you aren’t an expert on washing machines either, but you can likely tell a well-made washer from a crummy one just by looking at the quality of the workmanship. So, apply the same logic here, and use a few simple tests. When you handle a guitar, how does it feel? Is it solid and well-made, or weak and flimsy? Inspect the seams and joints. Are they snug and put together correctly? Run your hand along the guitar neck. Are the frets smooth and well dressed, or are they rough and poking out at the sides? Look down the length of the neck. Is it straight or twisted? This may be hard to judge, so eyeball it as best you can. Look at the tuning pegs. Are they straight and secure, or do they seem misaligned? 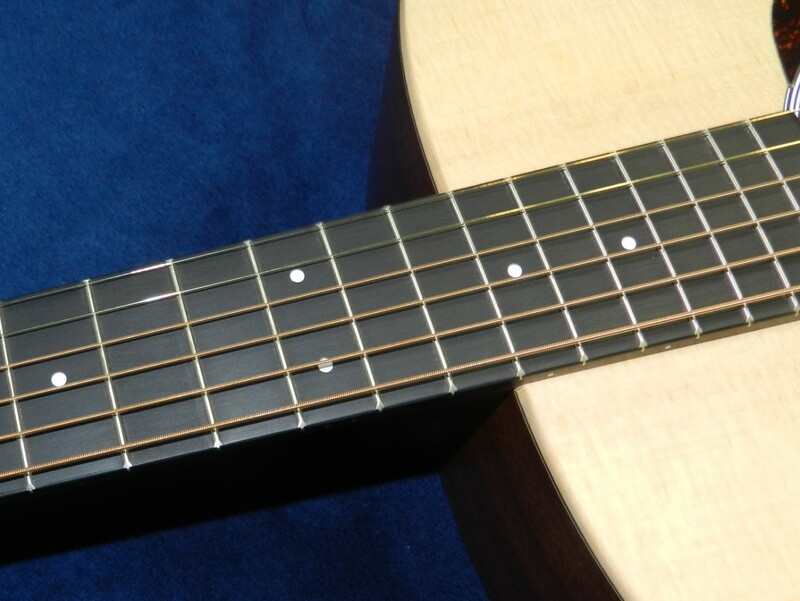 Note the distance between the strings and the fingerboard. Are the strings so far away that they are hard to press down? If you want to hear the guitar but you can’t play, ask the sales person at the guitar shop to play a little for you. Don’t be afraid to tell them you are new and need a little help. They understand, and that’s what they are there for. 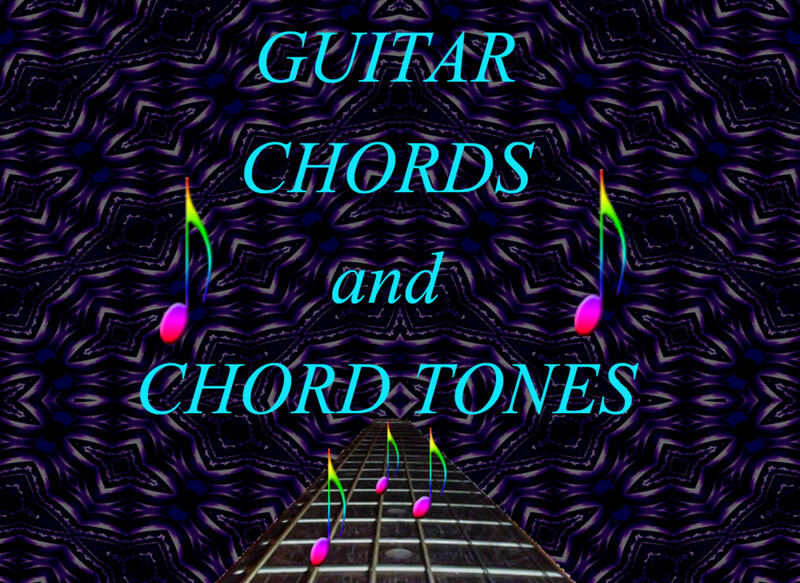 Only you can decide if you like the sound from a specific guitar. Of course you will become much more aware of what makes for good guitar tone as the years go by, but for now make the best decision you can. The important thing is that you like your guitar, so you are inspired to pick it up and play. If you choose to buy online, do so from somewhere with a good return policy, so you can make these evolutions and send the thing back if something doesn’t seem right. Wherever you get your guitar, you’ll want to take it in for a setup as soon as possible. This ensures the guitar is in tip-top shape and all important adjustments are made. Most of the good guitar shops will do this for free before you take it home. Check the neck, fingerboard, seams and joints when choosing a new guitar. I’ve given you a lot to think about, but you still may have no idea where to start your search for your new acoustic guitar. If you muddle through the advice in this article I have no doubt you’ll be able to make a great decision, but maybe I can provide a shortcut. Some of the top guitar brands in the world excel at making high-quality budget acoustic guitars. Here are a few of the companies that, in my opinion, make some excellent starter guitars. This is by no means a definitive list, and I encourage you to do your own research and draw your own conclusions. But, if I were starting out on guitar today, this is where I would begin my search. Yamaha: There are many outstanding Yamaha acoustic guitars for beginners, both steel-string and classical and in several different sizes. I recommend their FG and FS-Series instruments, and I think the Yamaha FG800 is a solid starter guitar that will meet the needs of most new players. It sounds great, but most importantly it is easy to play. The FS800 is a similar guitar with a slightly smaller body. I am always impressed by the workmanship of their guitars, and how Yamaha puts out such a strong product at such a low price point. Epiphone: Epiphone is owned by Gibson, a giant in the guitar industry. Under the Epiphone brand they make budget versions of classic Gibson guitars, as well as some originals of their own. 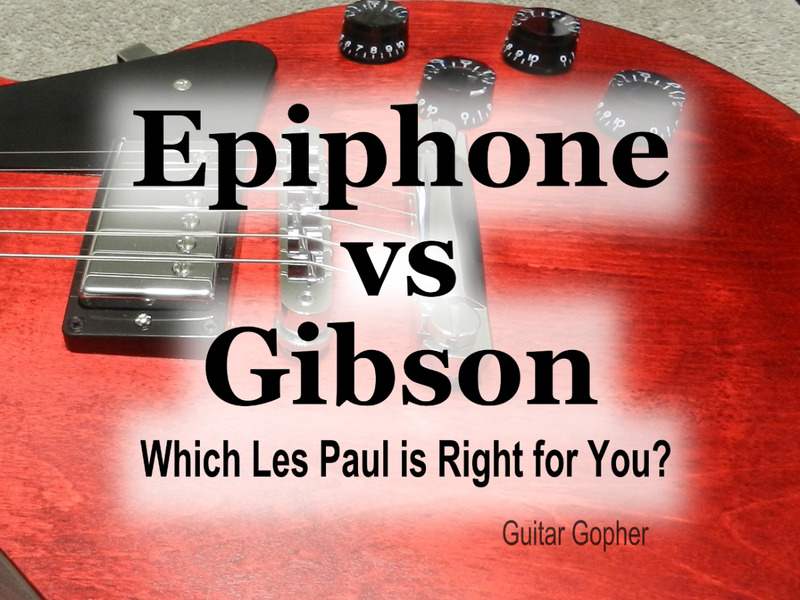 Epiphone is one of those brands that do a great job of giving guitar players on a budget a lot of bang for their buck. I recommend checking out the Hummingbird PRO and Dove PRO. These are gorgeous guitars, and again based on the classic dreadnought design. Fender: Fender is another big name in the guitar world. They are well-known for their electric guitars such as the Stratocaster and Telecaster, but they make some great acoustic guitars too. Check out the Classic Design Series, specifically the CD-60S. There are actually a few different versions of this guitar, including an acoustic electric model. I believe that choosing to learn to play guitar is a decision you’ll never regret. You’ll gain a skill you’ll have for the rest of your life, one nobody can ever take away. This is true of any musical instrument. If you have the desire to bring music into your life, don’t wait another minute. Finding the right acoustic guitar to buy is the first step. From there, you’ll have to learn to play. You’ll need to decide if you need a teacher, or if you should go it alone. You’ll encounter new music and exciting ideas, and find your way as an artist. There will be ups and downs, and there will be times when you feel like quitting. Don’t. Exploring music is an amazing, never-ending journey. While it is certainly not an easy path, it is well worth it. Nice tips! As I think, you must have a quality instrument by a trustworthy brand. For the beginner, it should be budget friendly. I would love to suggest some of the guitars, like Yamaha CG102, Dean AXS Dread, Yamaha FG800 & Yamaha FS800, go for it, as it is the easiest option for the beginners. Before buying have reviews on parts for Acoustic guitars.